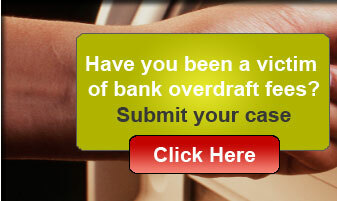 Fill out this form if you have been a victim of bank overdraft fees and you would like to consult with a lawyer. DO NOT SUBMIT A CLAIM IF YOU ARE A BANK OF AMERICA CUSTOMER. Which bank charged you excessive overdraft fees? Are you a current customer of this bank? Is/was the account a personal or business account? Do you use a debit, ATM, or check card for purchases? List the dates you were a customer of the bank(s).